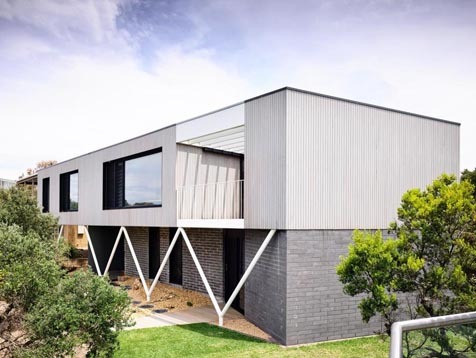 This project required the renovation of a 1980s beach house on the Mornington Peninsula. 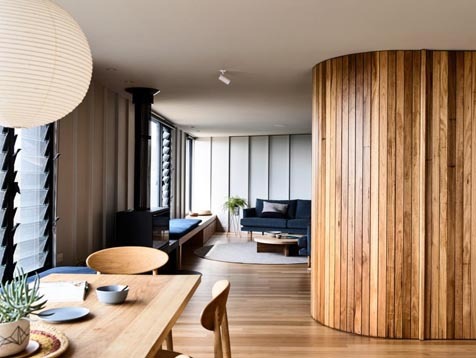 Eschewing the ‘box on the back’ approach, the architect employed layers of considered interventions to successfully stitch together old and new. The original ‘split-face’ block base has been kept and additional spaces are grafted on within an enveloping timber skin. 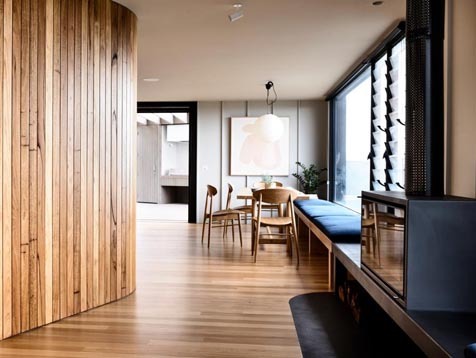 Other important interventions include: the streamlining of circulation, the ‘packaging’ up of services and storage areas, a new interior language that blurs walls and joinery, carefully located picture windows to frame views, a kitchen that acts as a social ‘knuckle’ between inside and out, a long low bench which connects adjacent living spaces and a covered external terrace which provides privacy and captures the sun. Vertical sections of Breezway Louvre Windows were used extensively on the first floor to complement the large ‘picture window’ fixed glazing panels. These operable sections assist in inviting summer breeze but also draw the fresh air up from the naturally cooler, shaded lower level. 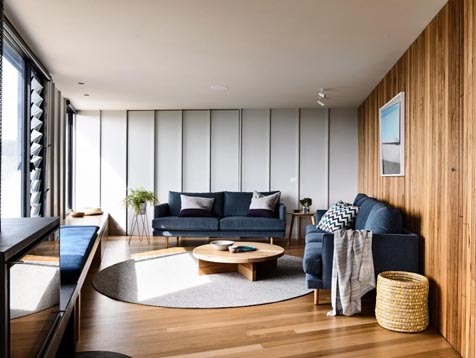 The result is that the former dilapidated and largely dysfunctional building has now been transformed into a highly usable dwelling, striking the balance between a desire for both function accommodation and a casual, breezy beach house.